I want you to have the best interior possible... that means more than simply offering high quality trim at realistic prices. This page is all about getting the most from my products, celebrating your successes and suggesting other useful websites. A new armrest and tunnel cover for Rene's American Spitty. 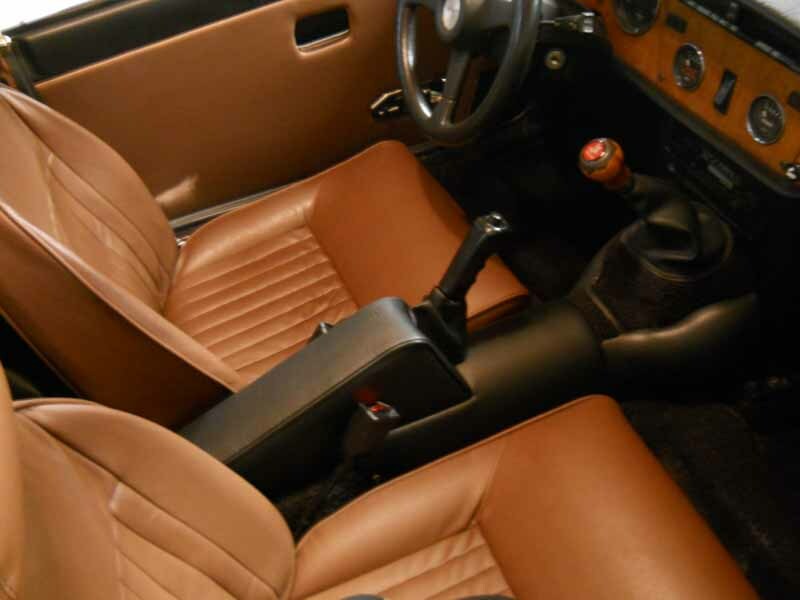 I haven't seen many tan interiors. 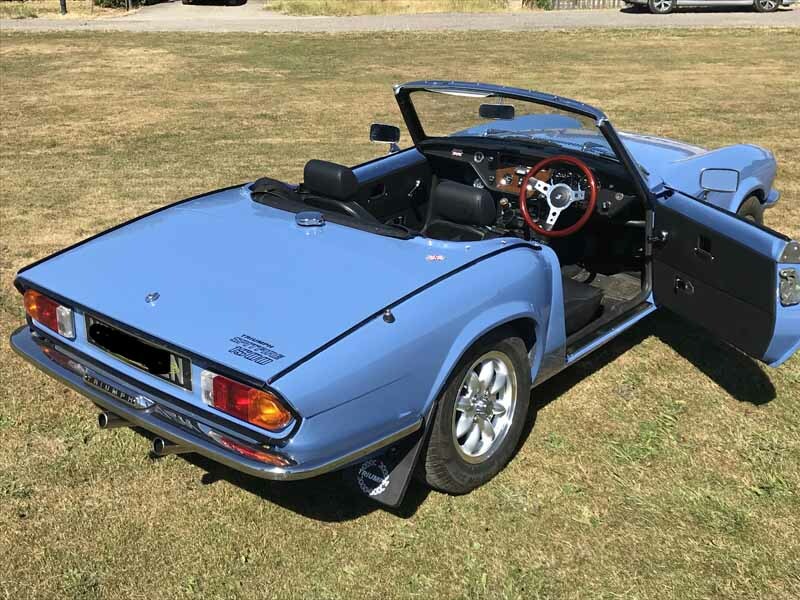 A very trim blue Spitty with new GT6 style door boards from Andy Bannister. 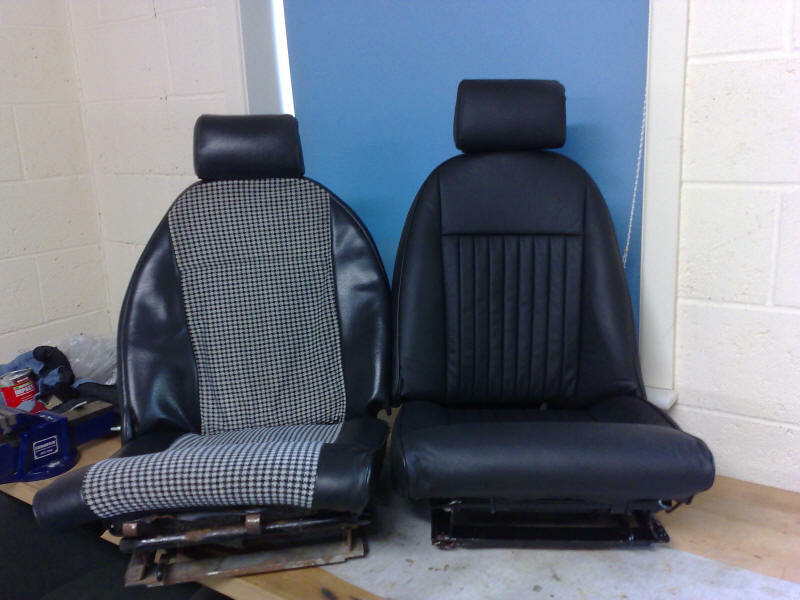 The seat covers are excellent and the back rests have gone on really well. 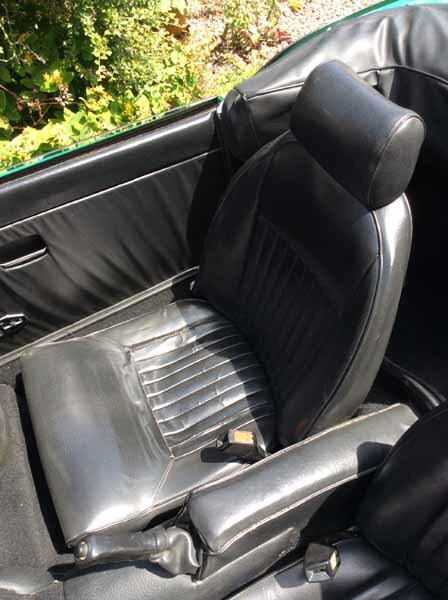 However, I really should have bought new foams from you for the cushions as although apparently in excellent condition they appear to have gone a bit soft and it is impossible to get the leather covers tight on the seat cushions. As you can see from the attached photo they look pretty good but could be better I'm sure with new foams so I want to take them apart again and refit them with new foams for the cushions. 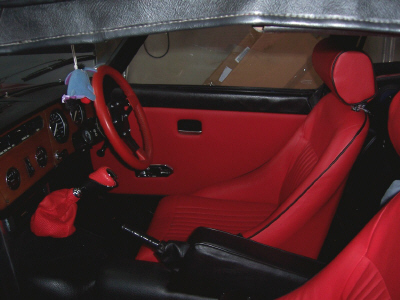 I do like the combination of red piping against the black leather. 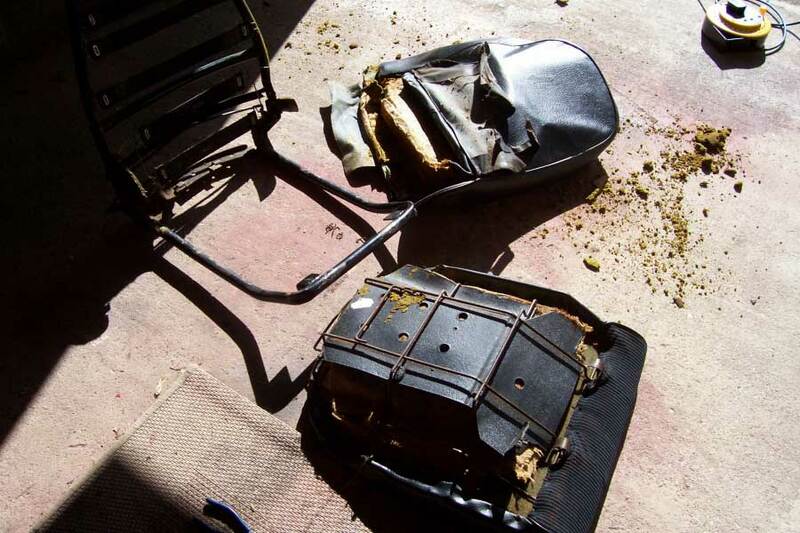 Fitting new foams will be a big improvement for your seats. They will have the strength to stretch your new covers, removing the wrinkles. This is especially true for leather which is less stretchy than vinyl. Nice seat belts by the way. 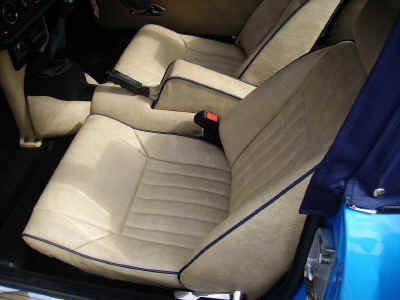 Please find herewith a photo of the seat covers fitted. It went OK, though I did fit the new covers on top of the existing ones. Fitting new covers over old ones... that's a new one on me but they still look good. The white piping looks good next to your hood cover as well. 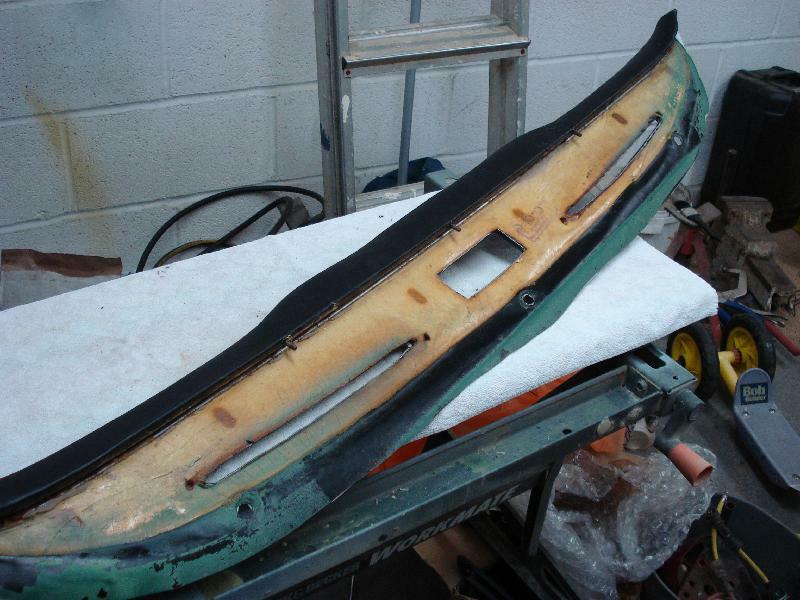 Time moves on, I eventually got around to refitting my Spitfire 1500 with your foam and covers. Your instructions were excellent and the result extremely pleasing, (well I think so anyway!). Please find attached a couple of photos of the finished result for your info - I think I've done you proud. Thanks for the photos and happy touring. 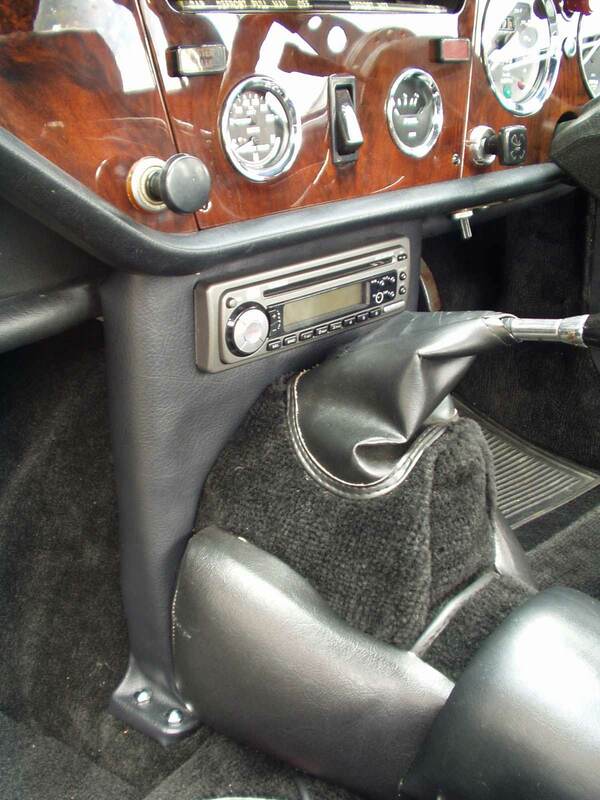 I have been dying to know how you got on with your Mk3 Spitfire dash top - I've never seen one out of the car. 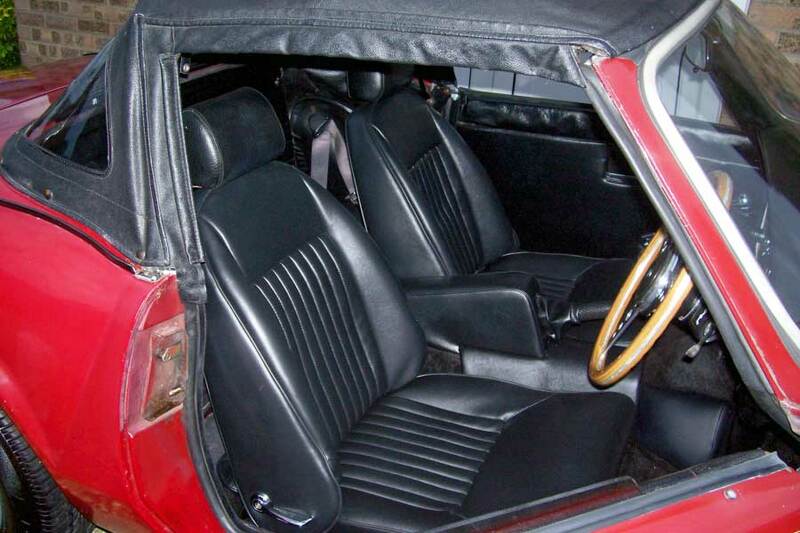 The three holes where the windscreen (windshield) fits are clearly visible. 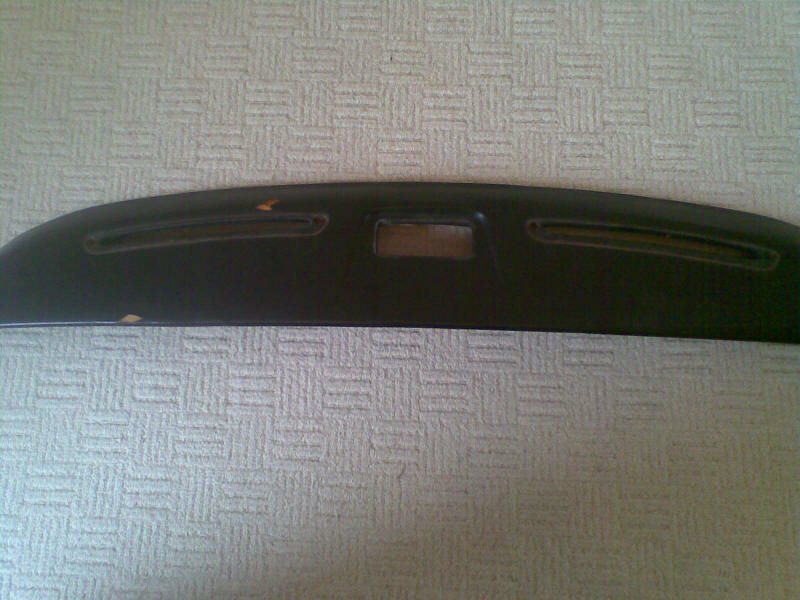 I can also see some fixings along the front edge too. 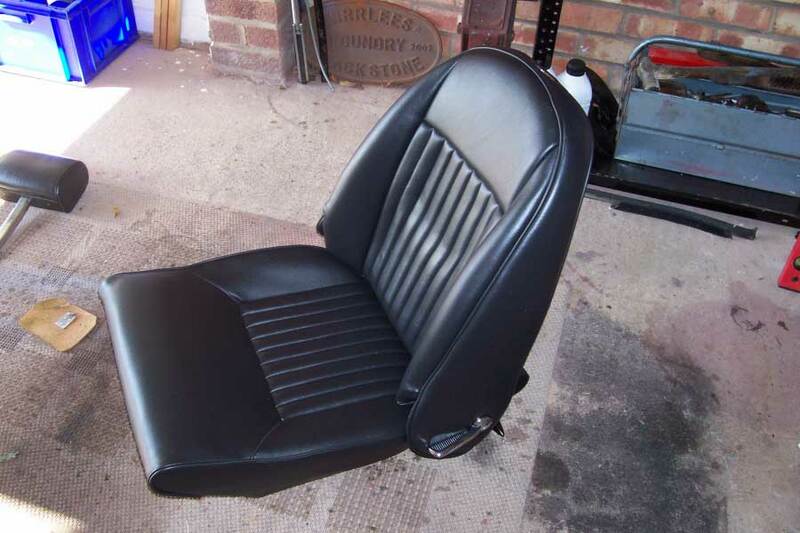 Just sat down after fitting the seat foams you sent and what a wonderful kit, brilliant finish, so pleased I've sent some pics. It took me most of the day only because the frame needed some work. Your instructions are spot on and I can also confirm the use of these Foams with cloth covers, but you can't put so much tension on the bottom ties as the cloth will rip ( I put brass ferules about every 25mm and then put the ties through. 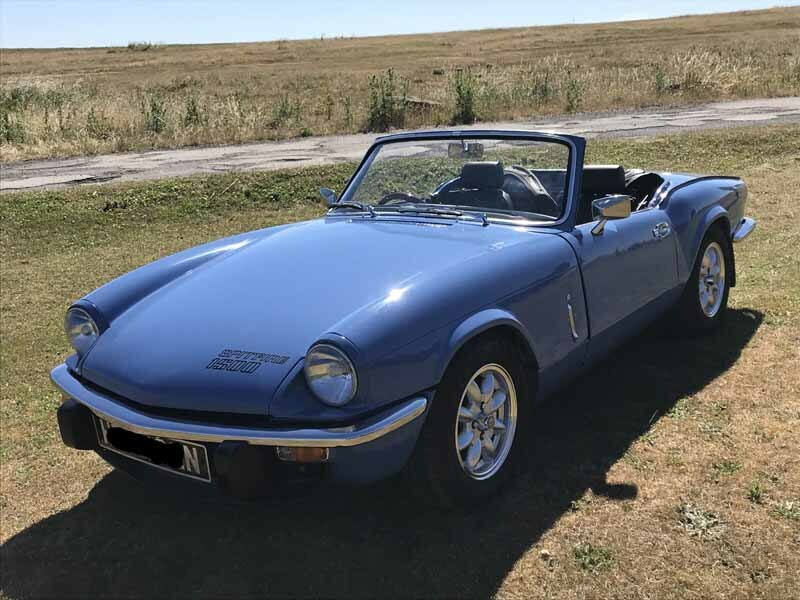 I've done all the work (apart from the engine machining) myself over a three year period and now reaping the rewards of driving a real Classic ( nervous disposition, bad back, empty pockets, But Big, Big Smile Every day ) Thanks for your kits. Thanks for the photos. I could look at GT6s all day and you wire wheels are spot on. 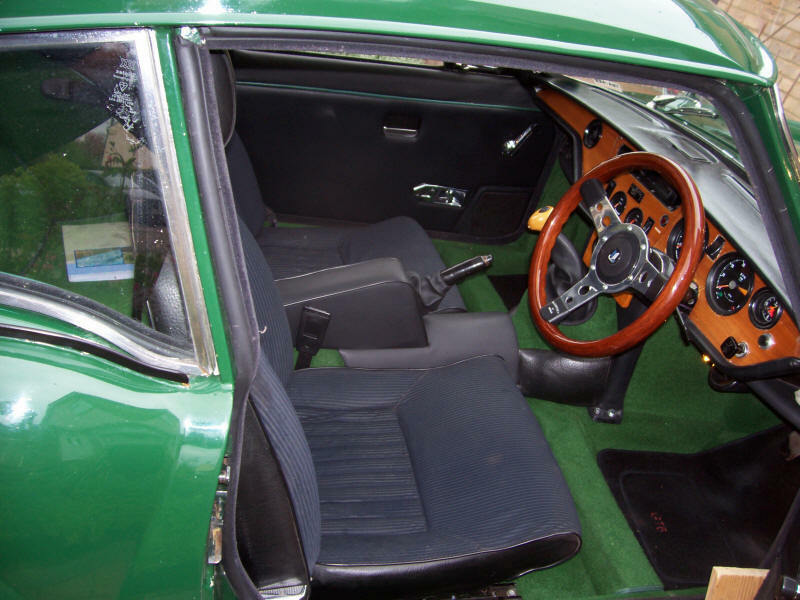 Green carpet in a car is an absolute first for me! 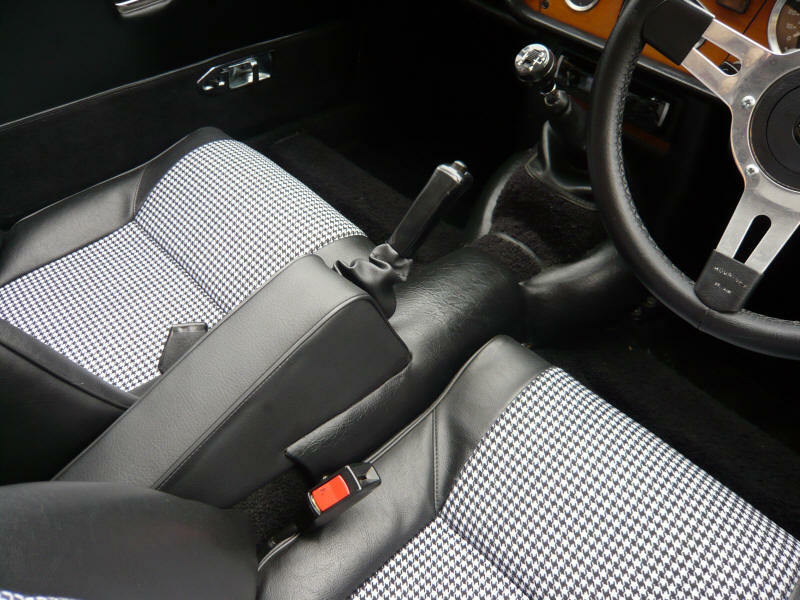 I'm not sure if it would work in most cases but you keep your interior so pristine that the colour just adds to the finish. 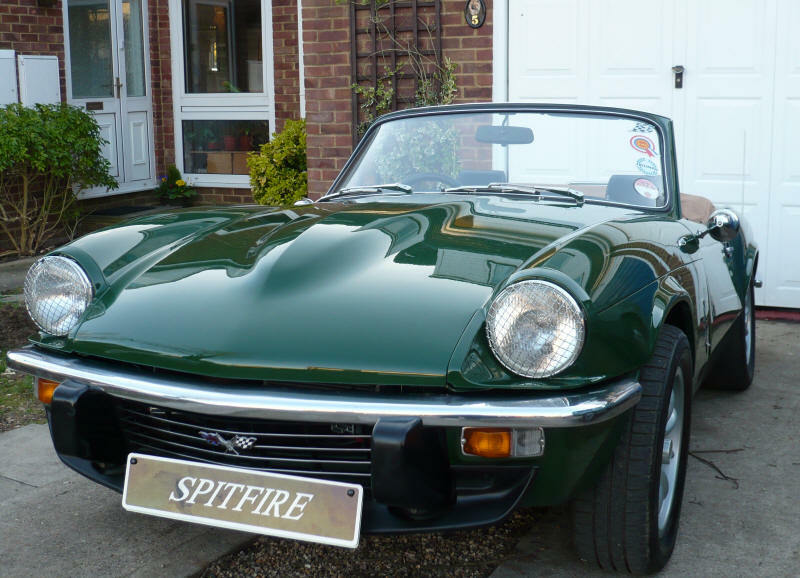 Thought I'd send a couple of pics of my spitfire and the armrest kit I purchased from you on ebay as you asked for your website. The kit was fantastic and a pleasure to fit unlike parts from other suppliers who make you wonder if they've ever seen a spitfire before. 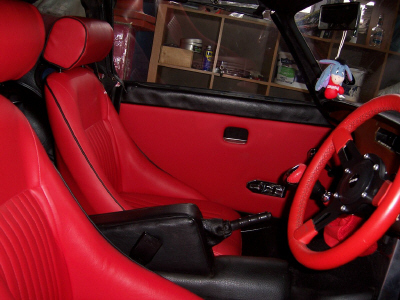 Smart interior for a very smart car! I wish my Spitty looked as good but I keep taking it apart! ps. 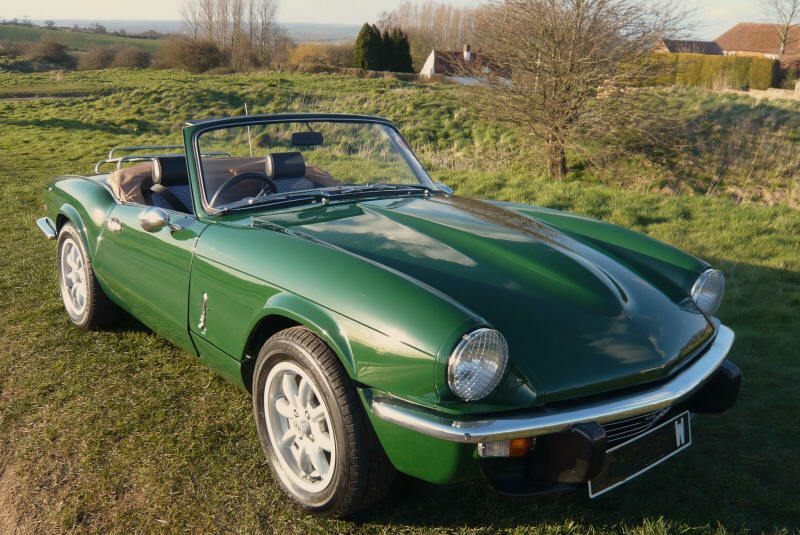 is that just a GT6 bonnet or have you got the engine to match? Just thought I’d drop you a line to say thanks for making such a great kit! Took me about 2 and a half hours from start to finish and was a thoroughly enjoyable task. I found it much easier than expected to fit and even with no prior trimming experience I’m really pleased with the results. Can’t wait to fit it to the car! People laugh when I say that trimming is fun... it sounds like you've been bitten by the same bug! Great result with your armrest. You've got the top piping really straight - a sign that you've got the seams sitting just right. 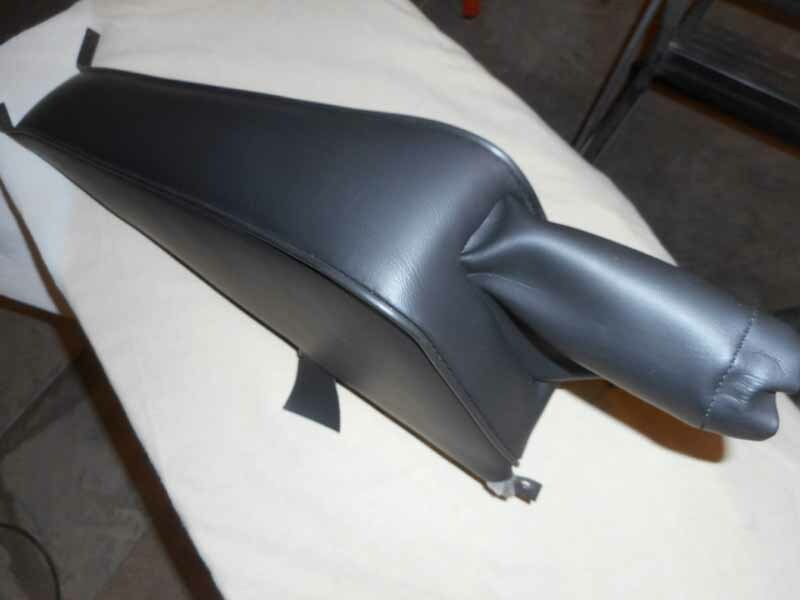 The coarse grain vinyl looks good and should look even better in your car. Many thanks for the prompt delivery and excellent communication, most retailers make you wait without telling you what’s going on. 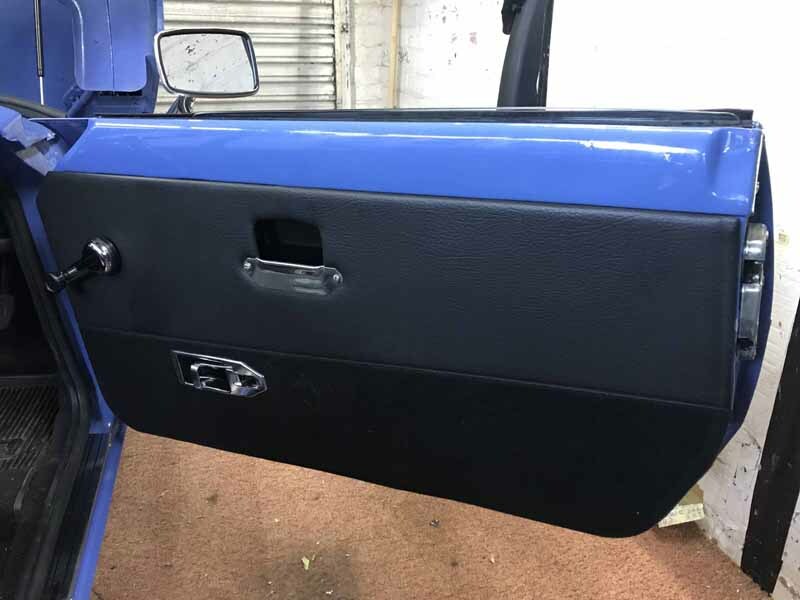 Received kit Friday and fitted it yesterday, I have to say I am impressed it makes the dash look swish again, as previously mentioned on some posts can be a bit fiddly but with a bit of patience you get good results. 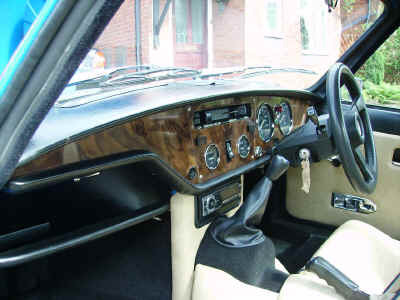 The dash is a fiddly job but well worth it when you get a finish as good as yours. I bet you've got a big smile every time you look at it when you're driving! Hi Owen thanks for the last shipment as always excellent quality and good delivery. 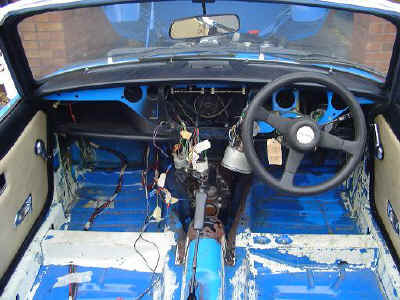 Over the past year you have supplied all the trim needed to convert my sad and torn Tan interior to what you see today. This is my first attempt at trimming and I am very pleased with it, you have supplied everything you can see in the photos even the dash top. 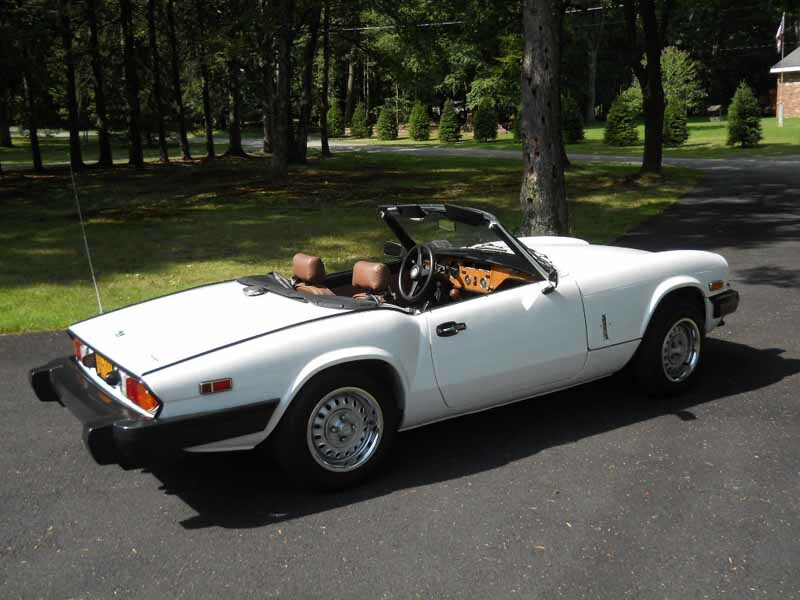 Thanks again and I will use you again for my next project (TR6 or Lotus Elan) and tell all my friends. I cannot thank you enough for taking the time to send me your photo's. It is such a joy to see how you have transformed a few bits of vinyl into something truly beautiful. 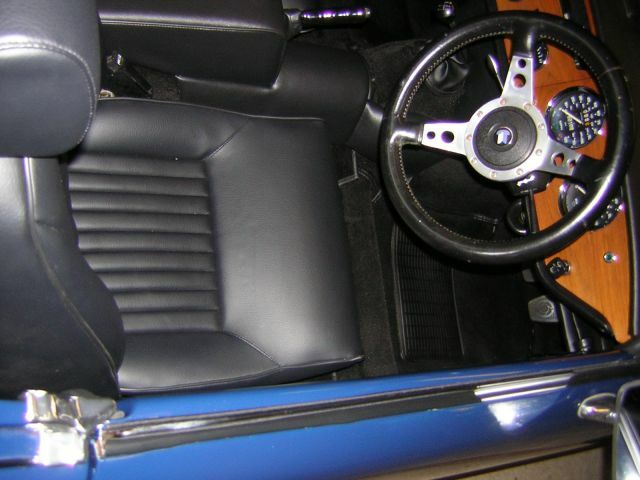 The clean piping line and smooth panel on the back of your driver's seat is absolute perfection... I could go on but your pictures are better than my words every time! Here are the before & after shots. Just a tip to get the back covers on I put a plastic bag sprayed lightly with WD40 over the foam before fitting, it really helped in positioning it.I think the transformation is amazing. 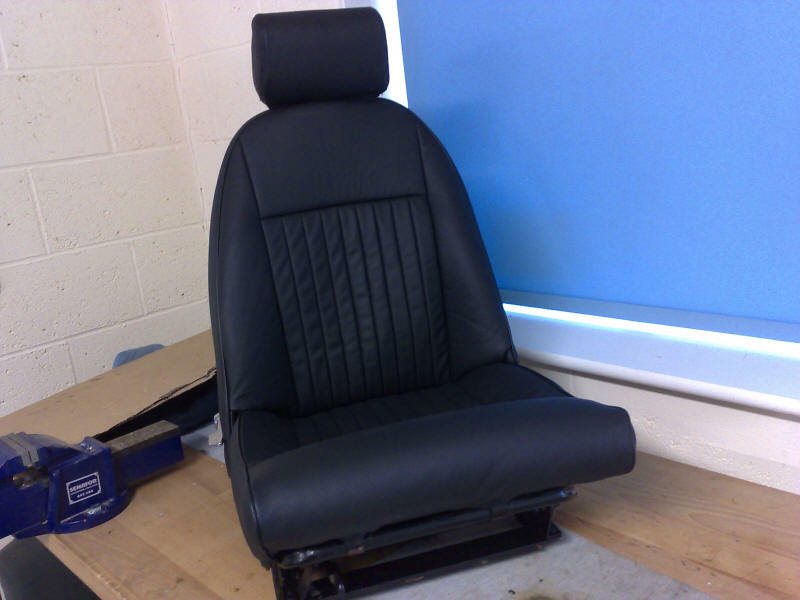 The first Park Lane Classics leather seats! 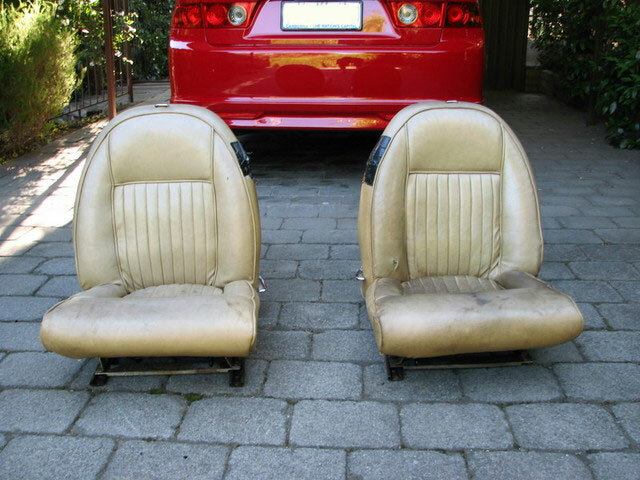 Today I finished the seats and placed them back in the car, it took me some time to make them but the results are good. I promised to send you some photos so here they are. Best regards, Dirk... Hi Dirk you have a really beautiful interior... the best in the Netherlands perhaps? Your seat are fantastic! 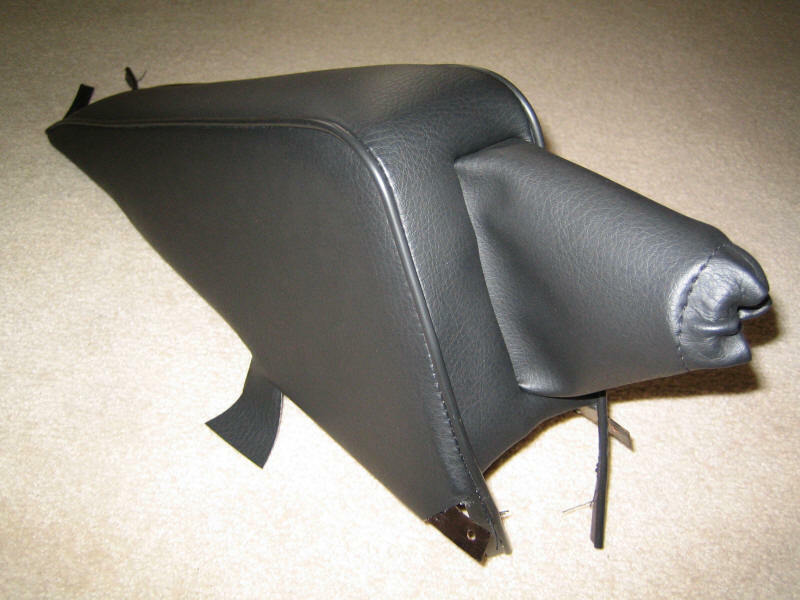 They are professional quality and the new headrests are the perfect finishing touch. I like your luggage rack - very shiny! You're right about the difference the new foams make to driving pleasure, so much more like being part of the car, instead of just its pilot. 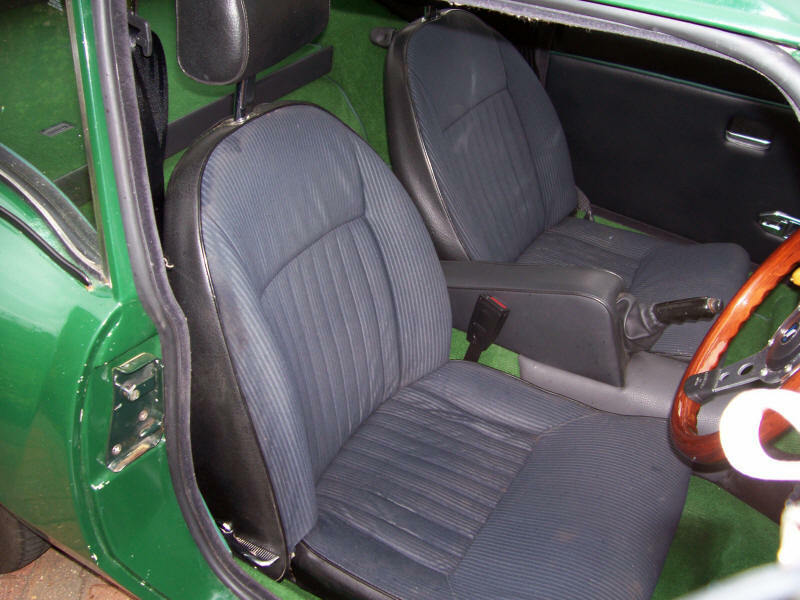 The attached photos show the car and its newly stuffed seats. Believe me, the cloth was wrinkled before, but now it's filled out 'in all the right places', as they say. I've only recently got the GT6, but I'm looking forward to comfortable use of it in the Spring. Best regards, Sam. Great result Sam! 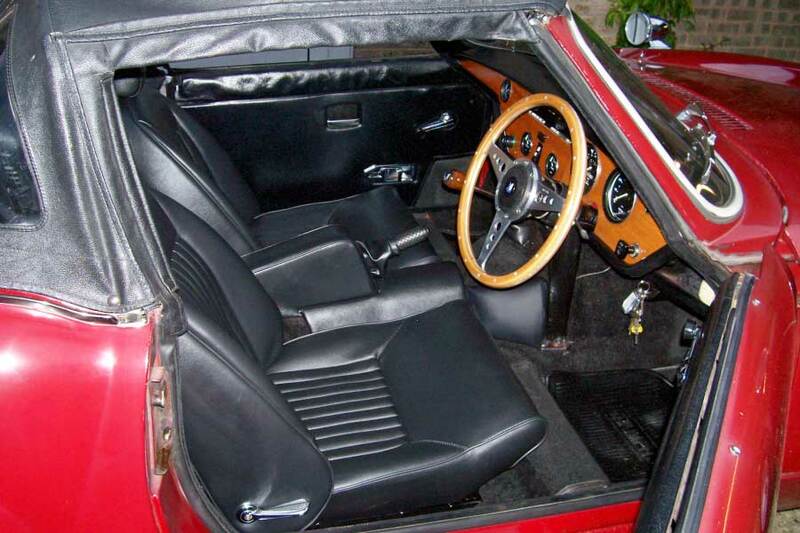 You've kept the original look of your GT6 but restored the comfort... and saved money at the same time. 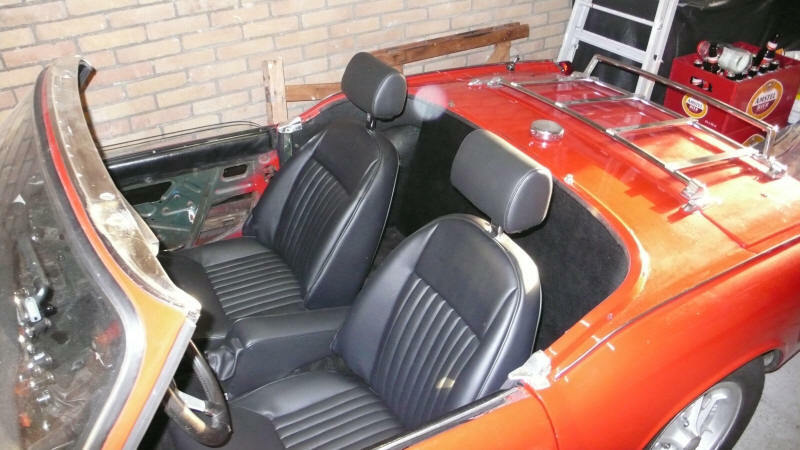 Fitting old covers to new foams is a great way of refreshing your interior on a budget. 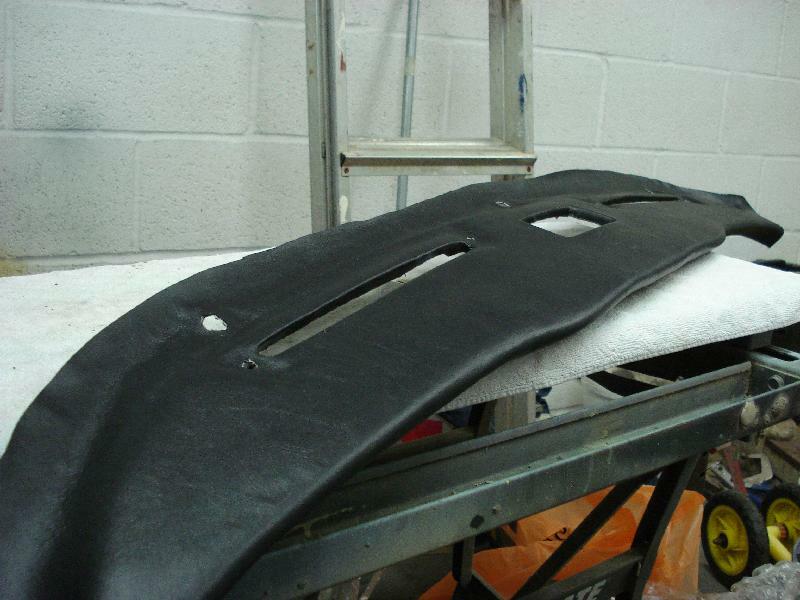 The old covers will have stretched and changed shape over time so it's a little more difficult than new covers. 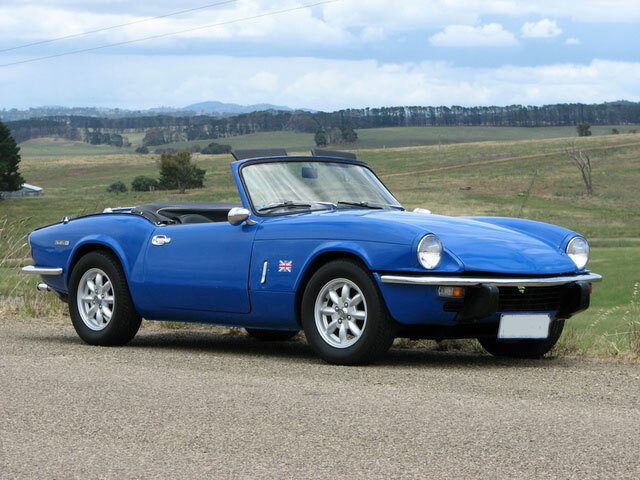 Have fun driving when the sun is out and reflecting off your beautiful bonnet... mmm! Owen, believe it or not all work on the this project is now complete. I'd rate the result at about 7.5 out of 10. It's not perfect and there are any number of things I'd liked to have done better but overall I reckon it turned out pretty well. The seats are the greatest triumph of the job. They were what I was most worried about before I began. But I took my time, read and reread and read again your instructions and every blog and forum entry I could find about doing them. I won't say it was easy but there were no nasty surprises either and the end result really is very good. 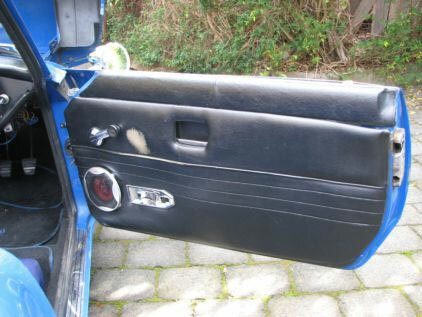 They look great and are a revelation to sit in after the old ones The door panels look fantastic. Personally I would put your trimming well up there with the best - 7.5 is way too harsh! Good advice about the blogs and forums. 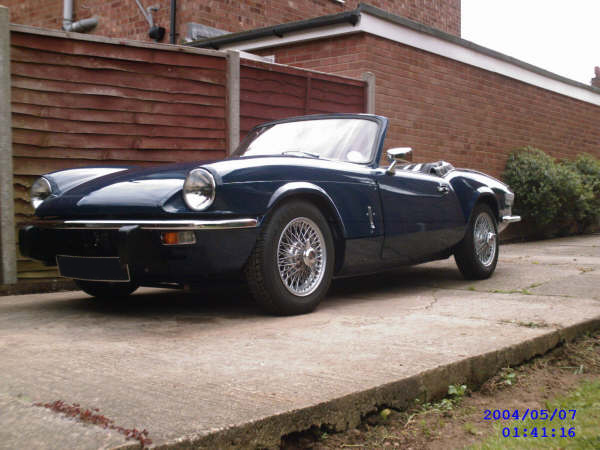 The amount of info and advice that is available is immense - classic owners are a helpful bunch! Finally, I thought Tasmania was all wet and miserable? Your photos make it look stunning! door cards are superb, actually better than I expected. (and I knew they would be good) The carpet material feels, and looks, lovely. I am looking forward to getting them on the car. I have now finished the seats on the Spit, the transformation is incredible, best thing is, the wife is now keener to travel in the Spit as her derrier is no longer bumping on the floor! 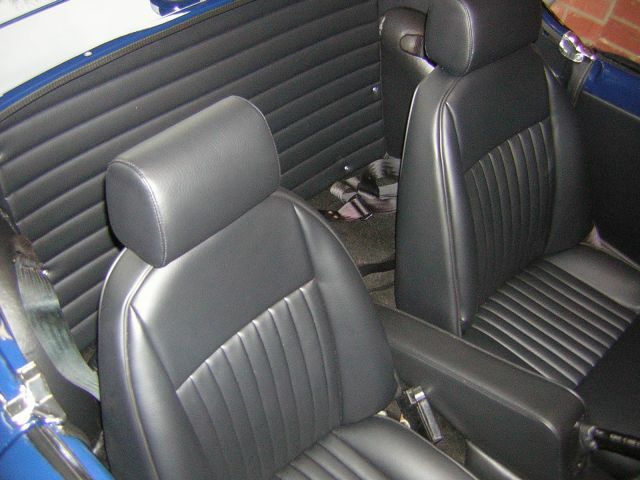 Only downside is, the headrest covers don't quite match, any plans. You hit the nail on the head about your wife's... comfort. 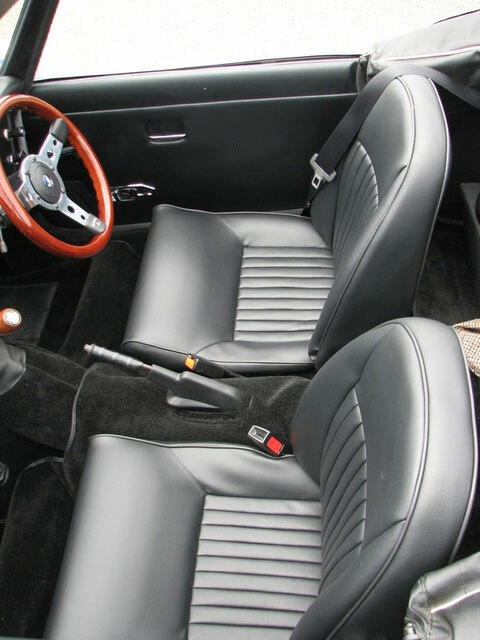 New foams make a seat look good but they absolutely transform the feel of the car. The first time I drove with my new foams was an absolute revelation. 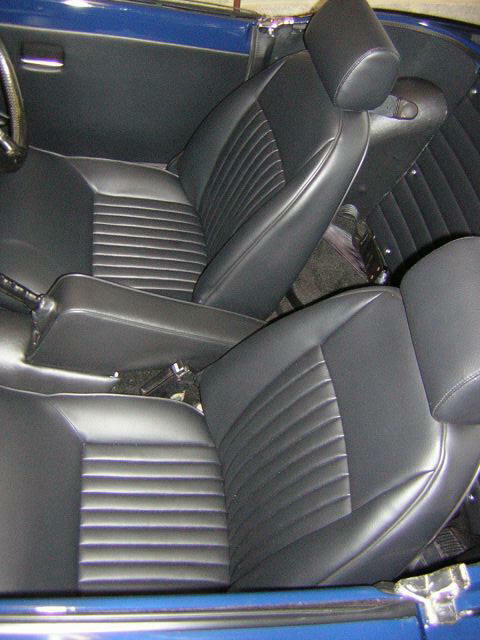 The seats gripped me in corners and I could go over bumps in the road without losing teeth! Thanks for letting me use your photos and yes I do make headrests now. Thanks very much for getting the kit to me fast.It fitted fine with no probs. (Pic enclosed). Brian Bull Now that is a really cracking piece of trimming! The coarse grain vinyl looks good and you have got the feet absolutely perfect. I love your walnut dash. 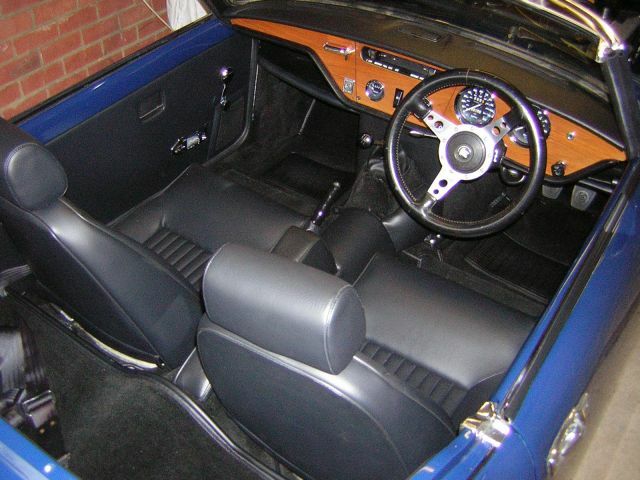 It reminds me of the walnut picnic trays we fitted at Jaguar. You've done a great job on the interior! 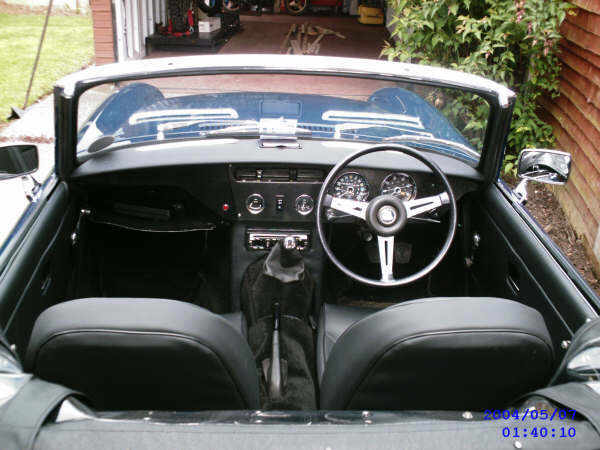 I recognise the dash top, radio housing, seat covers, door panels and cappings. You've created a really beautiful car and I love the colour. I particularly like the paint job on the top of the bulkhead... the brake fluid leaked on mine and it's covered in grotty black paint. 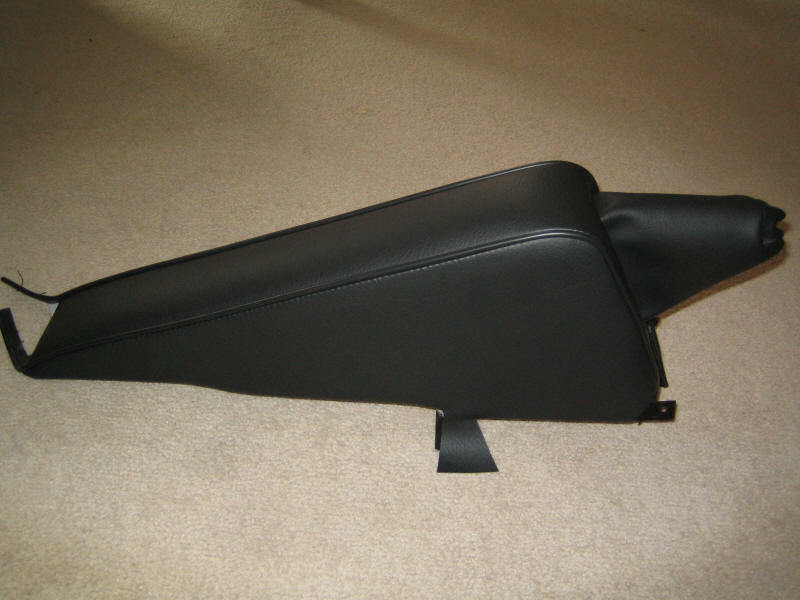 I have received and fitted the armrest cover! although fiddly at times the end result was fab! I hope that I can use your services again as I know the transformation would be more than satisfying! Thanks again, Garry Newton Your armrest looks really great! 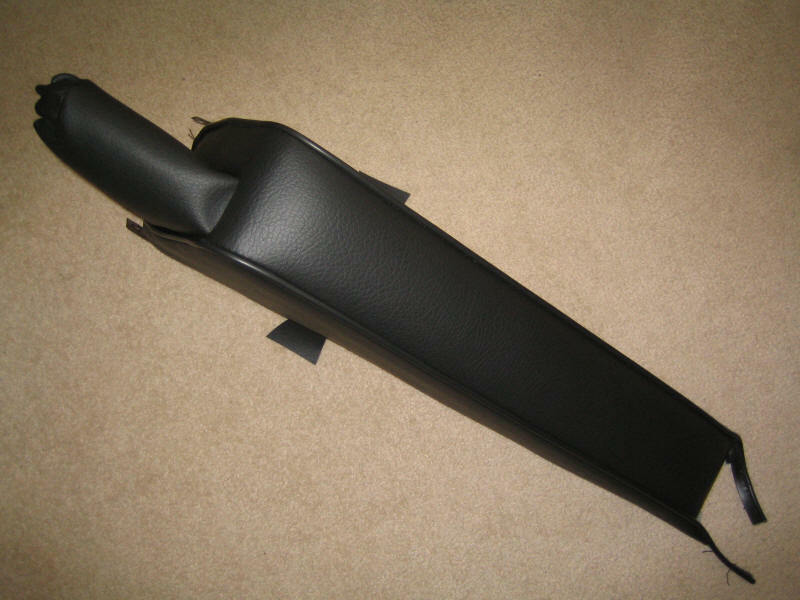 Your 'before' photo shows what a typical Spit / GT6 armrest looks like. 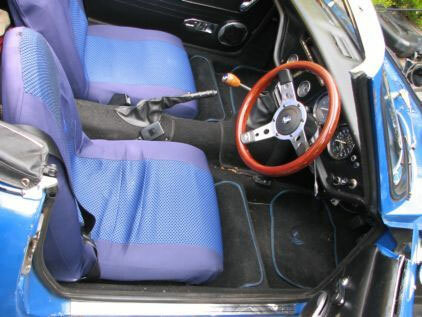 I like the horizontal seat flutes your in your GT6 Mk2... I'm jealous! Thanks very much for the arm rest kit, it was very easy to put together although I'm sure if I was a pro I would've got a better finish. The finish I got, I was pleased with so its all good! I've attached some pic's, see what you think. Ignore the table cloth! I bet it will look perfect in the car. The armrest is a good kit to start on - there's very little to go wrong and you can always start again. Just a quick note to thank you for the very very speedy delivery of my trim kit. Thanks and regards, Mike. Absolutely brilliant! I enjoy making my own trim and sending it off in the post... but when I get to see the finished results then it's a thousand times better. You've really done me proud! Cool! The contrast piping goes well with the hood. I like the detail of the painted calipers seen through the wheels. 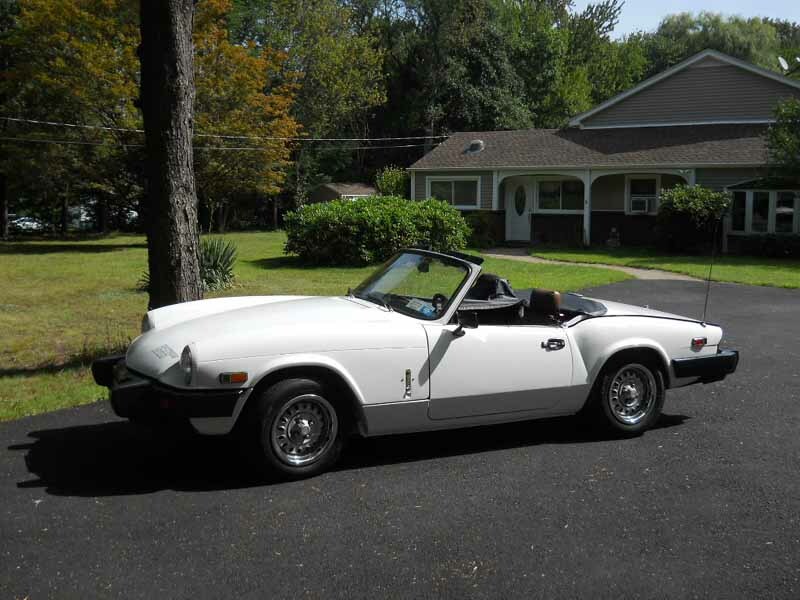 I bet it looks even better with the top down. 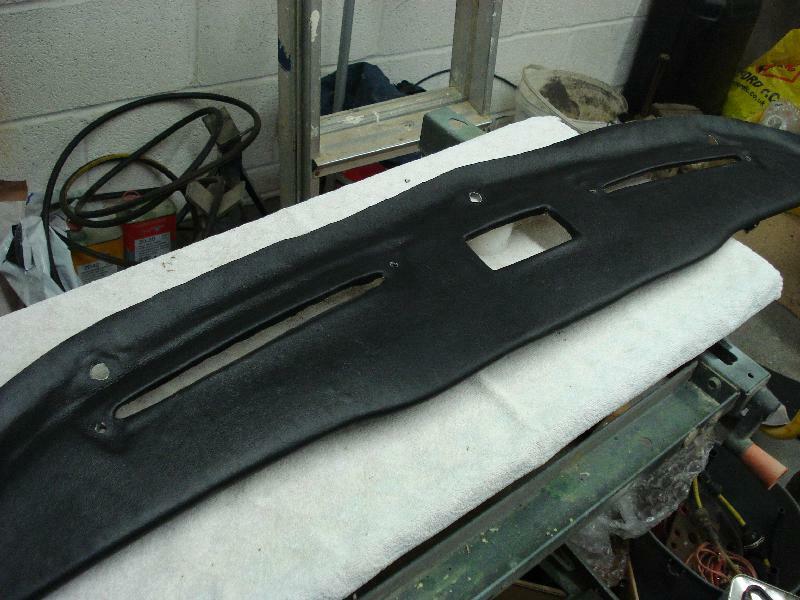 I made trim kits to match existing door panels. 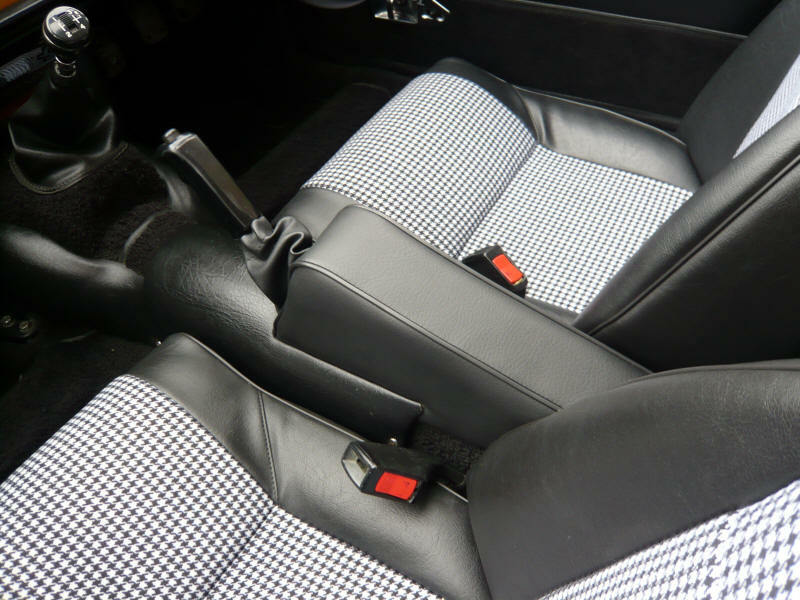 We found an exact match because Andy supplied a good sample... Andy then used the same vinyl for seats from a local trimmer. 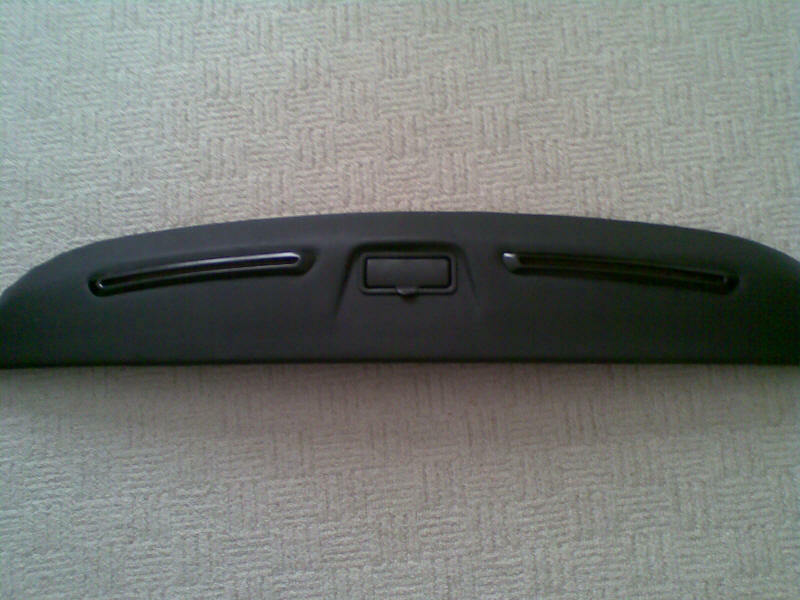 Hi Owen, I have just put the door cards on I bought from you. I've attached a couple of photos. 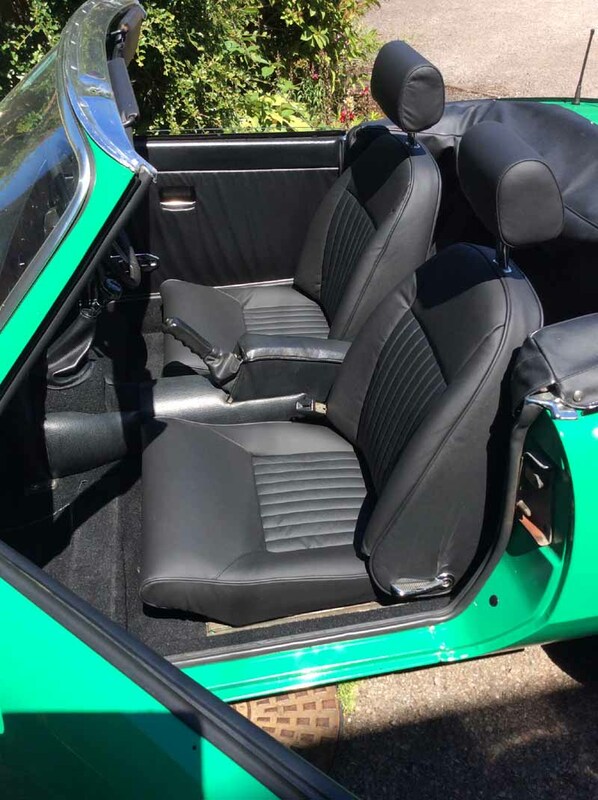 They are a brilliant match with the seats! Thanks so much for all your help, I'm really happy with them. Kind regards, Alison. 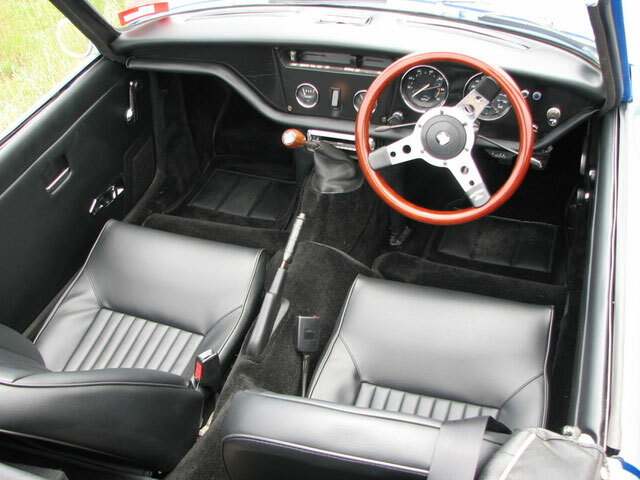 This is one of the sexiest Spit interiors I've seen! 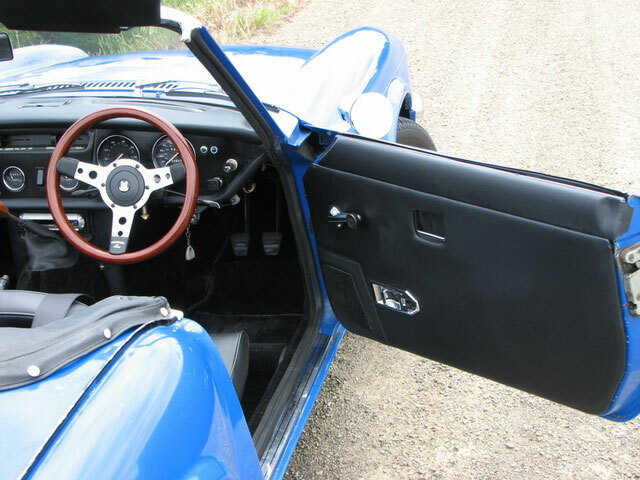 I made the door panels to match the seats. Hard work to get a colour match but well worth the effort. Just click on the titles to open in Windows Media Player. Trim is Simple... with the right instructions! I think trimming is easy enough for anyone to do. But don't take my word for it, see what you think. It looks impossible to remove and easy to break BUT looks can be deceptive! Don't let fear of the unknown stand in the way of your dream interior. Stop searching and start finding! A large, well run, UK club and very popular website. Over 1,000 listed - add yours & find others near you! An active US club with some gorgeous cars! 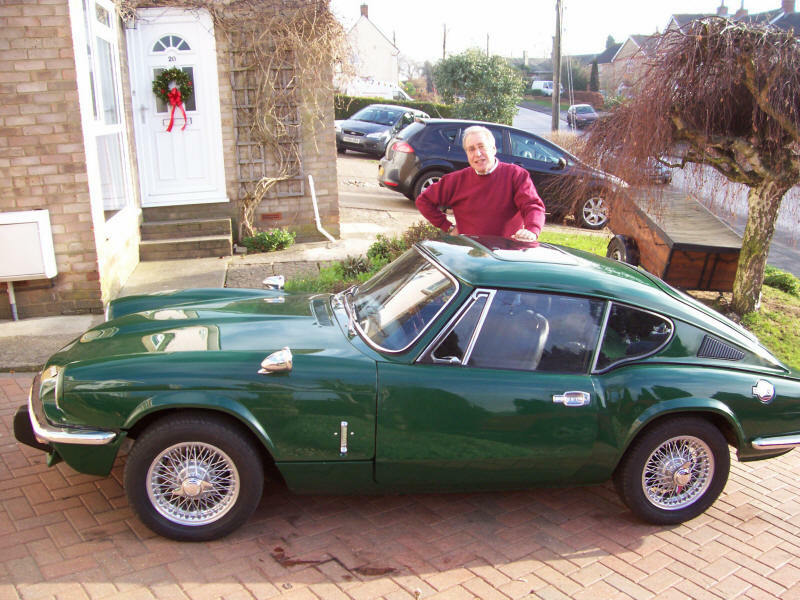 The owner's website devoted to his car + techincal pages. http://www.vintagetriumphregister.org/ The Vintage Triumph Register - North America's largest club devoted to all models of Triumph automobiles. UK based listing of traders, restorers, suppliers etc. UK based directory, classifieds, chat, advice & more! 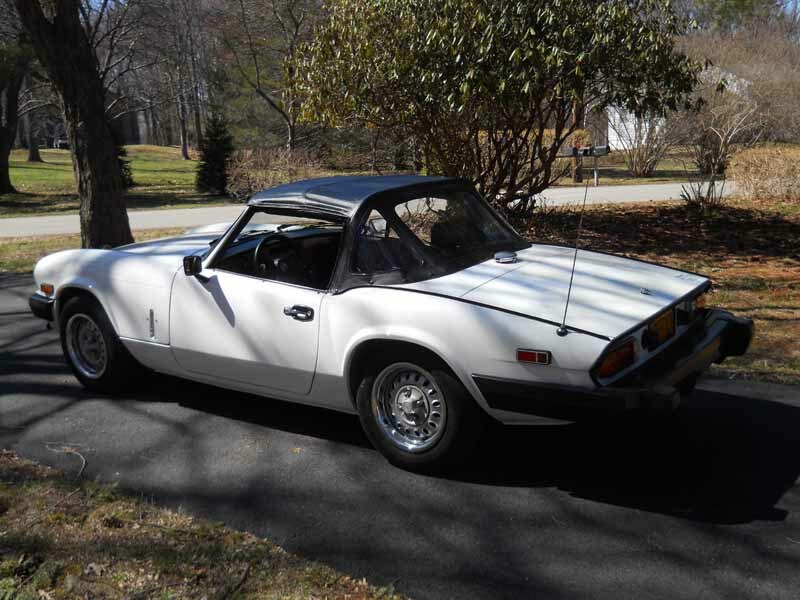 Loads of Triumphs for sale plus smaller makes & military! European suppliers & info' index. Multi-lingual sections.